CIVITAVECCHIA TO ROME TOURS ALLOW CRUISE SHIP PASSENGERS TO MAKE THE MOST OF THEIR TIME WHILE VISITING ITALY. 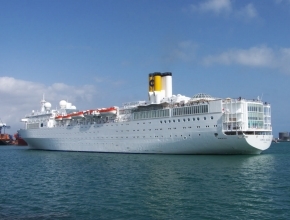 You will be picked up in the port of Civitavecchia, nearby your cruise ship. After approximately one and a half hour ride, you will arrive in Rome and start your touring the Vatican on your own or with the help of a licensed English-speaking guide. Imperial Rome: Roman Forum the Ancient City center of Rome with the amazing temples and old original streets and market, Colosseum, Capitoline Hill, Palatine Hill, Trevi Fountain, Piazza Navona, the Appian way passing by Circus Massenzio and the tomb of Cecilia Metella. Mini bus tour with guides: Luca Di Trapano, Giuseppe Maranelli. CUSTOM TRANSFER TOURS THROUGHOUT ITALY FROM: GENOVA - FIRENZE - LIVORNO - CIVITAVECCHIA - ROMA - NAPOLI.